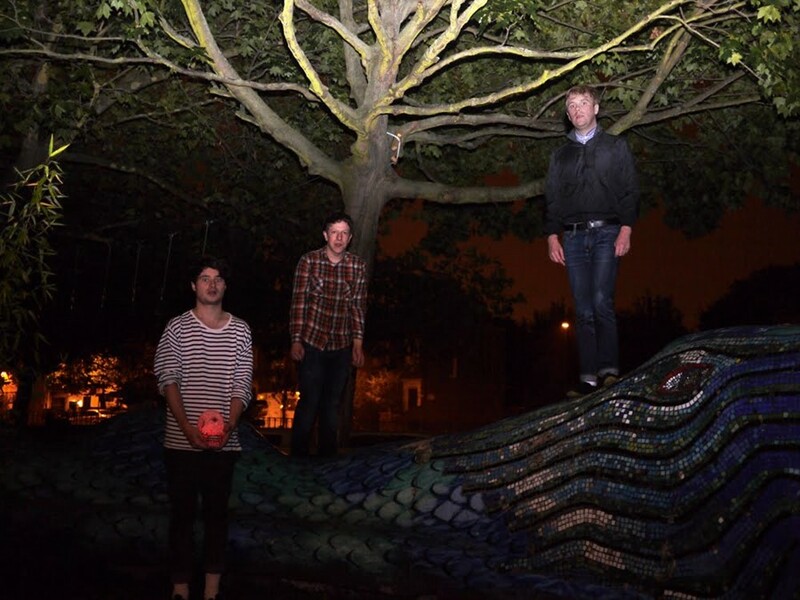 Since forming around the start of 2009 in the “postcode-less” town of Downham, London, Not Cool have been tearing up venues all over the UK with their idiosyncratic brand of “gutter pop”. Comprising Matthew J Gilbert, William Riley and Andrew Moran, the band have shared the stage with acts including Blood Red Shoes, JEFF The Brotherhood, Smith Westerns, Royal Bangs, Crocodiles and Let’s Wrestle to name a few. With singles including the sold-out “Wonderful Beasts”, and a 7” Marshall Teller split with Colours, Cheatahs and Dignan Porch, in October last year Not Cool released the 12” mini-album Rugged Raw on Sleep All Day Records. Dazed Digital caught up with Matthew J Gilbert to discuss the group’s video for their new single “Queens”, taken from Rugged Raw. Dazed Digital: Where did you film the video? Matthew J Gilbert: It’s about some transvestites who go out on the town and beat up some dudes who heckle them. Matthew J Gilbert: I think we all suffered some sort of injury. It was a pretty gruelling experience for us as the girls partly wrestle for a living––Mystique is training to be in the WWE! [http://www.wwe.com/] We realized what we’d got ourselves into when Andrew got punched in the face pretty early on and had a glazed expression for the rest of the shoot. There are quite a few outtakes of us sobbing. We might compile that into some footage for our next video. DD: The director, Margarita Louca, has made videos for, among others, Male Bonding and Sky Larkin. How was it working with her? Matthew J Gilbert: We contacted Margarita because of the video she made for the band Wetdog called “Wymmin’s Final”. It’s completely original, slightly perverse and one of my favourite videos of the last few years. With “Queens” she was interested in the idea of “power play” and gender that the song’s lyrics play on, such as the assumption of how to behave based on gender norms. That's when she came up with the idea of female fetish wrestlers (women paid to wrestle and beat men into submission). It echoes the act of humiliation/vengeance covered in the song in a tongue-in-cheek way I guess. We’re pretty open minded, but unfortunately that meant we had to get our arses kicked. And I’m pretty sure she enjoyed that as well! Not Cool "Queens" from Margarita Louca on Vimeo.